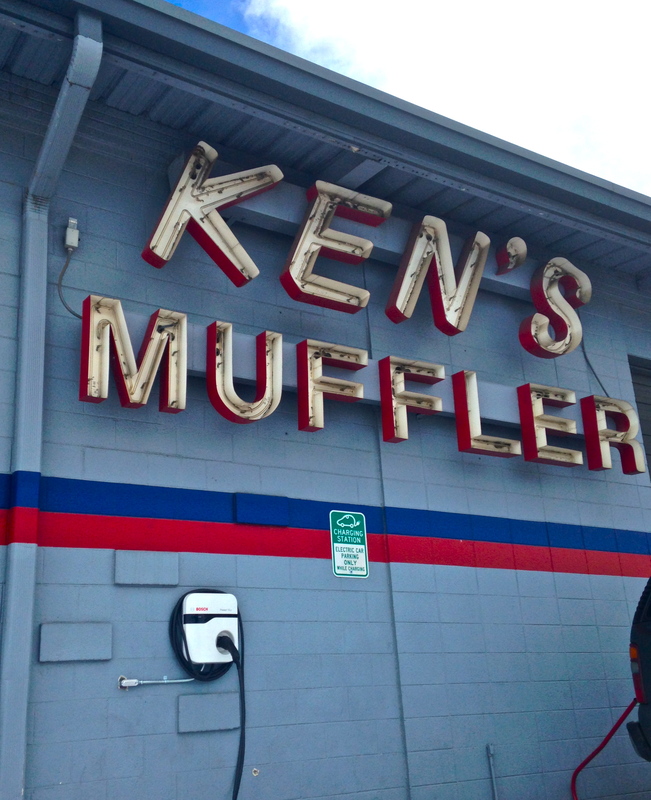 Ken’s Muffler Shop was founded in 1973 as a premier exhaust shop, specializing in custom exhaust fabrication. While its quality work and commitment to customer satisfaction has remained the same for more than 40 years, the shop has also focused on keeping up with the times and the technologies. Recently, that has meant becoming an expert on hybrid and electric vehicles. First, a bit of history. Scott Melbye came to work at the shop in 1987 and brought with him mechanical expertise in front-end suspensions and alignments. 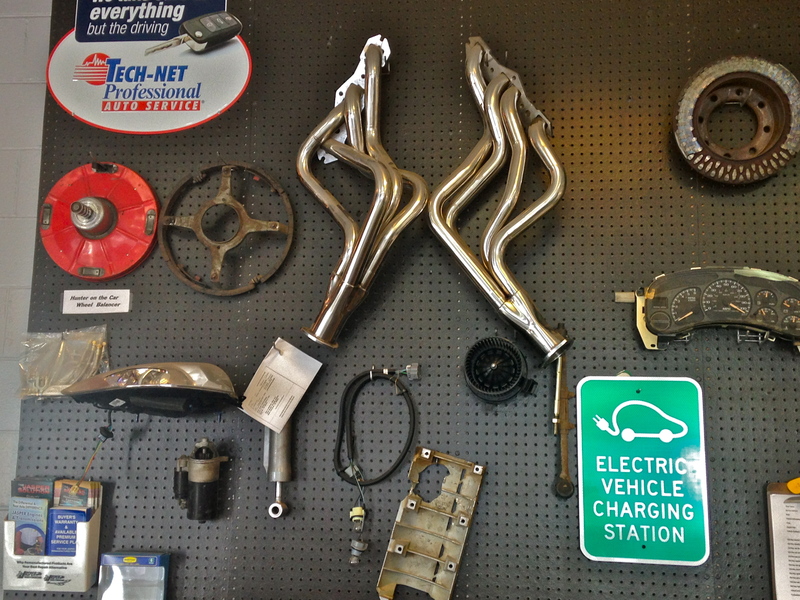 In a few short years, the shop went from being not only “the place” to go for custom exhaust work but also one of the best places in town for complete automotive care. It expanded its services and doubled in size. In 2007, when the original owner decided to retire, he offered the company for sale to two long-time employees, Scott Melbye and Bob Jensen. Bob had begun working for Ken in 1973 as the business was just getting started. Scott and Bob formed a partnership and have run the business for the past 6 years on the same principles under which the shop was established in 1973. In November of 2013, Scott and lead technician Allen Burch travelled to Seekonk, MA for 8 very intense days of training on the newest wave of automotive technology: electric and hybrid vehicles. They were in class or working in the shop for 12 hours a day. They completely dismantled many different hybrid and electric vehicles, looked at them from the inside and out and got up close and personal with all components of the vehicle. They worked to fix and diagnose a variety of problems on plug-in electric vehicles (PEVs),plug-in hybrids (PHEV), and regular hybrids. Their understanding and familiarity with the technologies grew even more because they were not allowed to drive anything but these vehicles for the duration of their training. They had the privilege of being in class with educators from around the world as well as a team from the Honda R&D department that was there to learn just like the rest of the class. According to Scott, “It was a great experience to get so many different points of view!” The PEV, PHEV, and hybrid models they learned on were the Toyota Prius (first, second and third generations), the Nissan LEAF, the Chevy Volt, the Ford Escape, the Honda Insight and the Honda Civic. While there is not a certification process for hybrid repair, Scott and Allen earned the title of “Qualified Hybrid Repair Technician.” Not only did they pass written tests, but they also had hands-on real time repairs to prove they could make their hands do what they were learning in the classroom. Now back in Colorado, Scott and Allen are putting what they learned into practice and sharing their new knowledge and skills. Scott’s Muffler Shop has plans to qualify any technician with the desire and aptitude to make the commitment to learning about these new vehicle technologies. 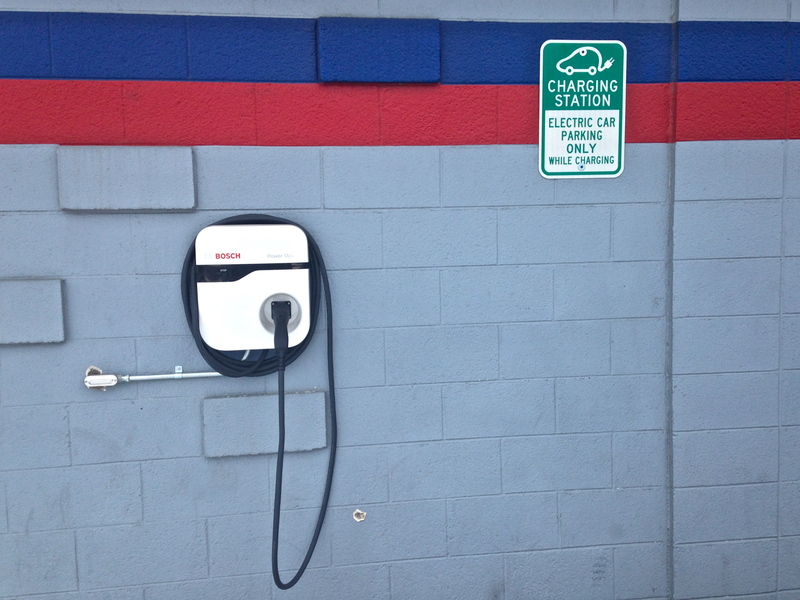 The shop has also installed a level II charging station—a Bosch 220 Volt that is capable of fully charging an electric vehicle in 3 to 4 hours. It has a standard J1772 charging plug and is located in the front of the building and available free of charge, “no pun intended,” to anyone who needs to charge up. Of course it is first come, first serve. If there proves to be a high demand for this the shop will install an additional charging station. Ken’s Muffler Shop is working with DENC to plan a Ride and Drive event in the coming months. Stay tuned to participate in this exciting opportunity!